Finally, I made a tuque and scarf for my hubby. While I am an American living in Canada, and have mostly kept my native vernacular, I have loved " tuque" ever since I first heard it. It is used by Canadians in reference to any typical knit cap and, it seems to me, feels like a very happy word. Just try saying it aloud. 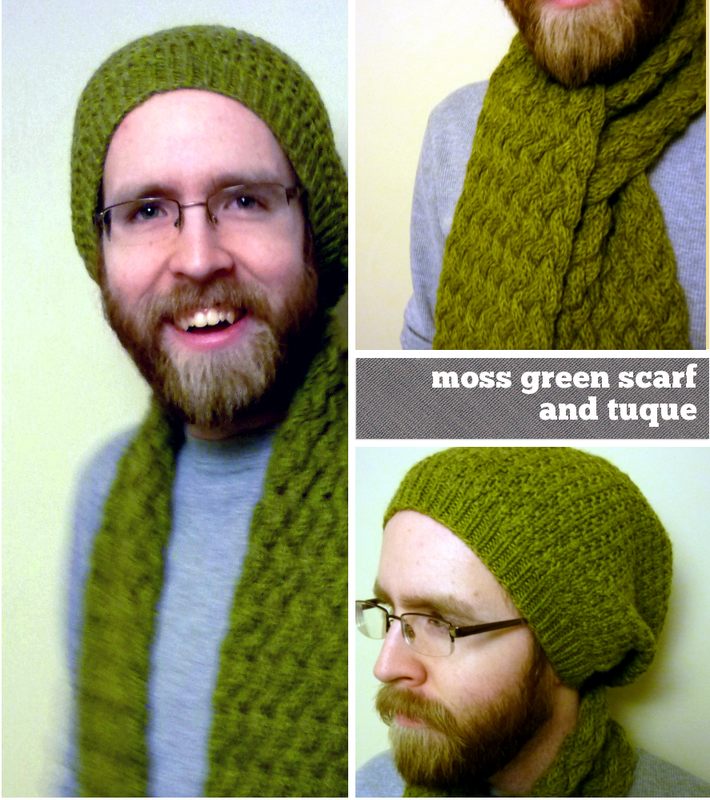 The patterns used for these, the Molly tuque and Matilda scarf, may have girly names, but they were made for manly purposes. Both patterns are available for free. The tuque pattern I did alter to remove the cable. I made it first as prescribed, and and decided that the inclusion of the cable made it look significantly more feminine... so I frogged it and started all over again without, much the horror of my cast-mates who had been watching me knit it backstage during performances. The cabled scarf is beautiful, and so fun to nuzzle your fingers into the texture of the multitude of cables. It is also nice and warm due to the cables. 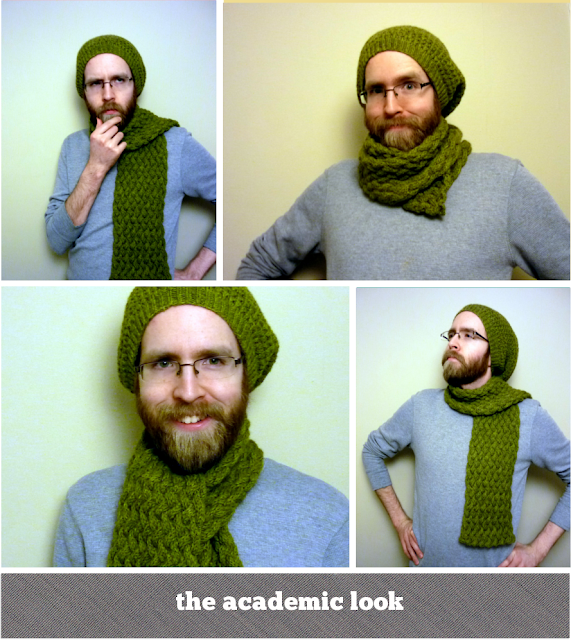 The downsides of it is that it took forever to make...I would estimate about 6 times longer than your average scarf. At least that was my experience. Also, I'm not a fan of the look of the backside of cables, so you have to be specific about how you drape it. That doesn't seem to be as big an issue in practice as I worried, though. So I finally am able to send my husband off in the morning warm and with remembrances of me wrapped around.